much love, illy: sponsor love + giveaway with Asian iCandy. it is no lie that i am a huge fan of Asian i-Candy and their fantastic clothing and accessories! i love the variety of colors and styles that you can find on one website! whether you want to rock the Asian vibe or the bohemian look, you're bound to find a million and one things that you will want to say, "come here to momma!" 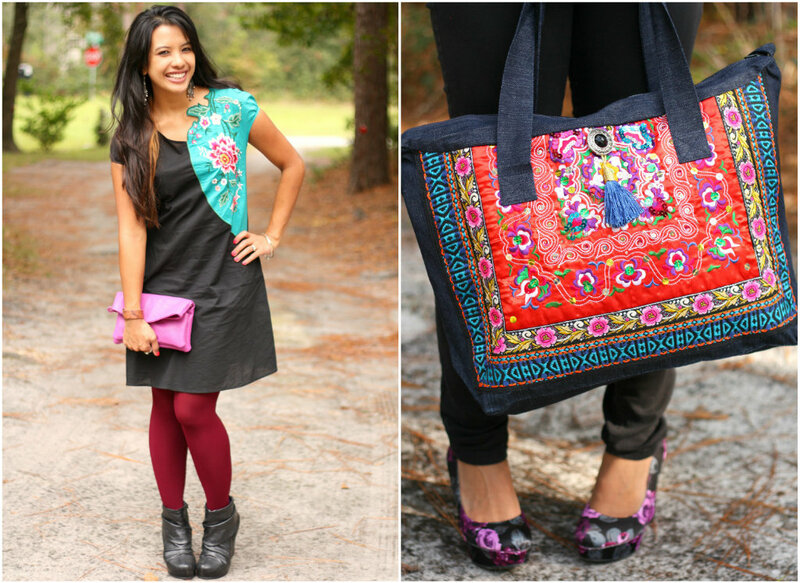 i personally adore this embroidered curved dress and the colorful messenger bag - they are my fave! oh, and i feel ultra special with this feature Asian iCandy did of me *blush*! 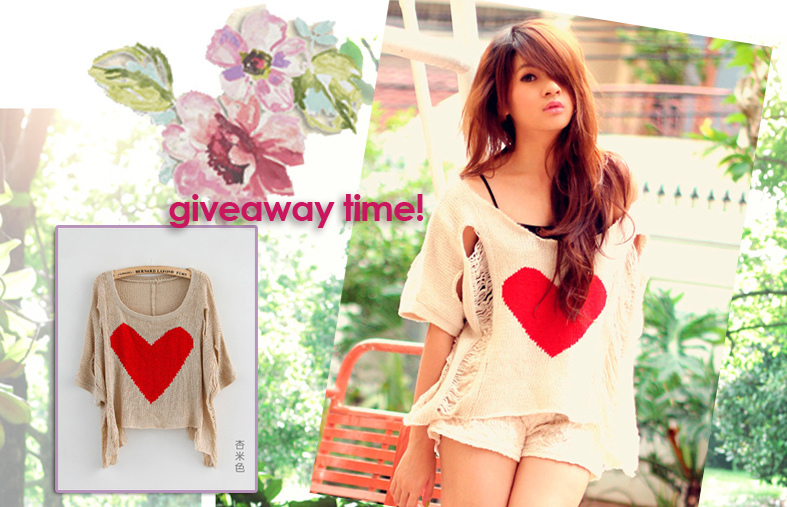 and today you, my friend, have the lucky chance at this adorable heart print sweater! i am such a sucker of hearts that i wish i could enter this giveaway! is it not perfect to layer up for this autumn?! my personal fave is the ivory with the red heart, but you can also choose from black, beige, or white! Like the Asian iCandy Facebook page and let them know Much Love, illy sent ya! Giveaway is open to ALL Much Love, illy readers thru Wednesday, October 24th. Winner will be announced on Thursday, October 25th. Oh my gosh, they have such cute things!!! Awww I hope I win! :) I am in love with the Fairy Princess Lace Dress and the little princess lace bow tribal boots! And of course the heart sweater! DUHHH I'm a follower of yours, missy!! Umm, I think this is my fav. punk style rivet chiffon shirt is my fav!!! I would snag the dora plaid shirt. Like on FB, thanks for the giveaway. 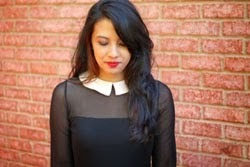 Love the lace me up the black top so cute! I follow your lovely blog via google friend connect under the name of Amber. I liked their facebook page and said hello! Gosh... hard to pick what I love from their shop! The colorful dots sweater is so fun! I wrote on their FB wall & let them know you told me about them! This sweater is so cute, but I also love the Chinese Black Lotus Scrunch Boots! Love the swing print dress! I follow asian icandy on pinterest! - visit Asian iCandy and let me know your favorite product! The heart print sweater is lovely! My favorite is the faux leather skater skirt! Love the color! I liked Asian icandy on FB and said hi! I follow the Asian iCandy Pinterest Boards! 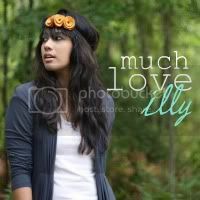 I follow @muchloveilly and @asianicandy via Twitter!